You used to have to drink a whole vial of Polyjuice Potion in order to look like another person. You had to gather up a bunch of fluxweed, knotgrass, lacewing flies and a whole bunch of other stuff to concoct it. Now, there's a much easier way to look like, say, a certain . It comes in the form of this Harry Potter Dress Up Trunk. You used to have to drink a whole vial of Polyjuice Potion in order to look like another person. You had to gather up a bunch of fluxweed, knotgrass, lacewing flies and a whole bunch of other stuff to concoct it… especially the hair of the form that you’re trying to take. Ugh! Now, there's a much easier way to look like, say, a certain professor or trouble-making student that you need to spy upon. Or, even better, if you’d like to step right into the Wizarding World as one of the most famous wizards of all time: The Boy Who Lived! It comes in the form of this Harry Potter Dress Up Trunk. This Harry Potter accessory set comes with tons of value! 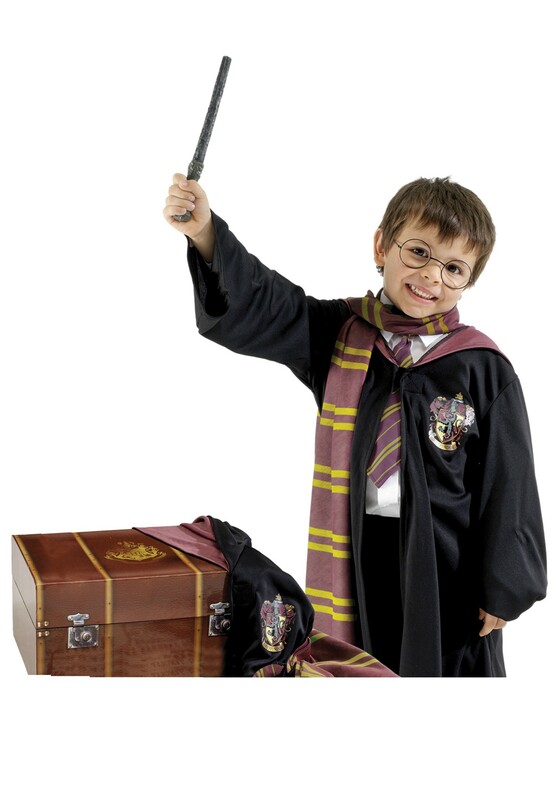 It comes with a hooded robe, like the one worn by the Boy Who Lived during his time at Hogwarts. It also comes with a Gryffindor necktie and scarf, along with a set of Harry Potter glasses and a toy wand. All of the items fit neatly inside the included trunk when not in use, so your child can transform into their favorite Hogwarts character whenever they want to. inside the included trunk when not in use, so your child can transform into their favorite Hogwarts character whenever they want to.